I’m quite excited because of the five liveries, this was my favorite. It is the one I associate with my early childhood in the 1970s. I remember drawing airplanes when I must have been in my early elementary years and this was the color scheme I could recreate from memory. 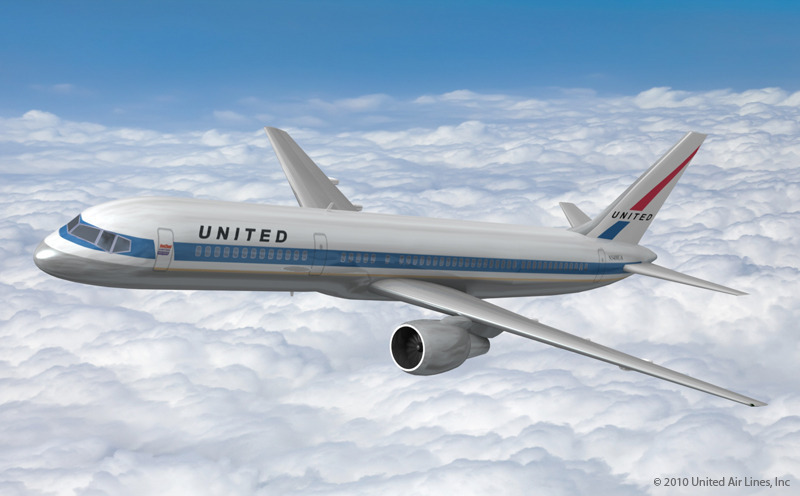 The other four liveries that represent the different eras of United Airlines. While I’ve had my rough patches with United over the years, it is the company that my father, my husband, and I (not to mention countless friends) all worked for at various points in our lives. Happy 85th anniversary to the Friendly Skies. May the merger with Continental make the skies friendly once again! This entry was posted in Uncategorized and tagged 85, A320, airbus, Airlines, airplane, anniversary, aviation, Color, Jet, Livery, Paint, Plane, Retro, Scheme, United by christao408. Bookmark the permalink. My favorite as well…a really classy look. The classic red, white and blue color scheme is quite appealing. I do have some rough patches with this airline too! What can I say- it’s very retro! haha. I do like the design – classical and known. @arenadi – *faints* a rare sighting of Mike on Xanga! It looks pretty nice. I hope they survive this merger. It’s a tough industry. @Fatcat723 – @jandsschultz – It seems to me they could just update the font (which does look very 70s) and it would be a very appropriate look to use for the entire fleet. 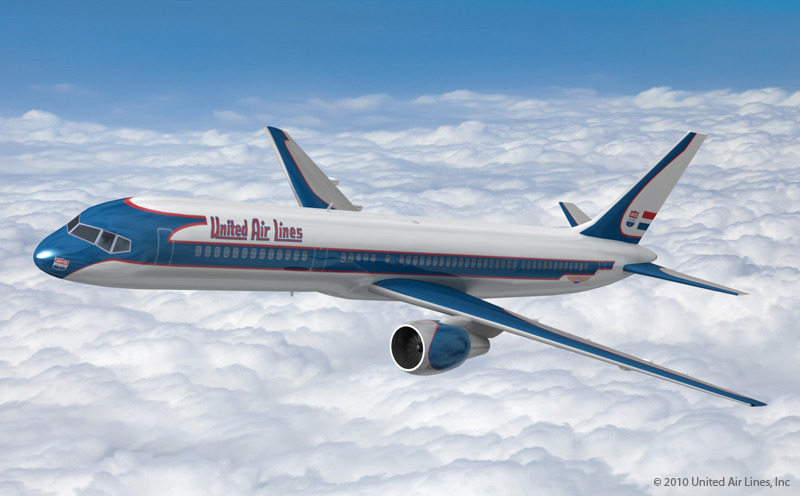 @Dezinerdreams – It’s kind of cool that many airlines are painting retro jets. Lufthansa has one plane done up that looks great in b/w photos because it really looks like it came from the 60s. 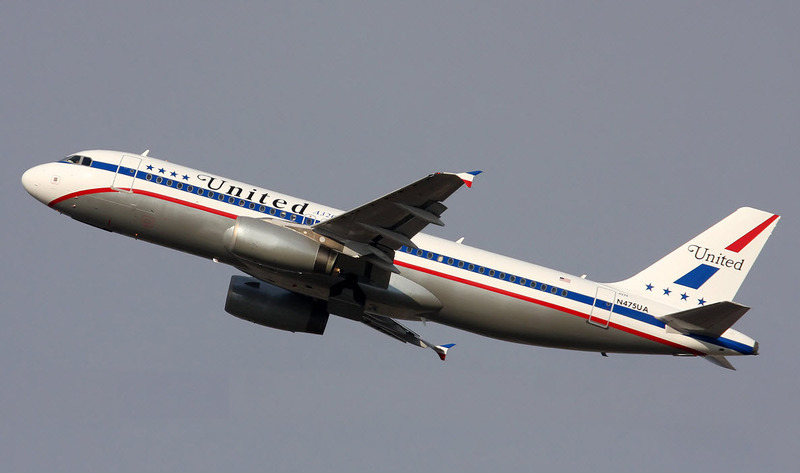 @CurryPuffy – Is there anyone who has flown UA without some scrapes? @arenadi – DEN and ORD would be the two places you’d be most likely to see it, I’d guess. Great to see a comment from you, Michael! Very classic design. Nice post! Might not have realized it otherwise! i used to fly united, but stopped when i discovered that continental had better service. now, i guess i’ll be back to flying united/continental, at least for a while. i’m sad that i can’t fly hawaiian, though; they always were my favorite airline. Nice! Glad your fave was selected. Unfortunately when mating 2 different purebreeds you often get the worst of both breeds… Hopefully the best of both companies will be manifested in the merger. @kunhuo42 – Hawaiian is a great way to fly to the islands. Let’s hope that the good points about CO live on in the new UA. @murisopsis – Yeah, it usually is the lowest common denominator that wins out, isn’t it? In this case, the new UA have made some announcements (keeping “Economy Plus”) that seem to indicate that at least some of the bright spots will survive the merger. @bengozen – Yeah, it is one of those geeky bits of news that 99% of people really don’t care about. But I found it interesting. @christao408 – Wow! That actually looks like its from the 60’s or something- really cool! wonder if the crew wears retro uniform too! @Dezinerdreams – I think the exact design was basically an updating of the 1960s design, which is the second from the right of the thumbnails. It definitely came out very early in the 70s so may have actually been designed in the late 60s. @yang1815 – Nope. It is nice. I still like #1 the best. As I probably mentioned before, my uncle was a maintenance supervisor for Capitol and later United at DCA for years. Used to come and stay with us for retired employee functions after he moved back to NC. Good guy. Miss him a lot. 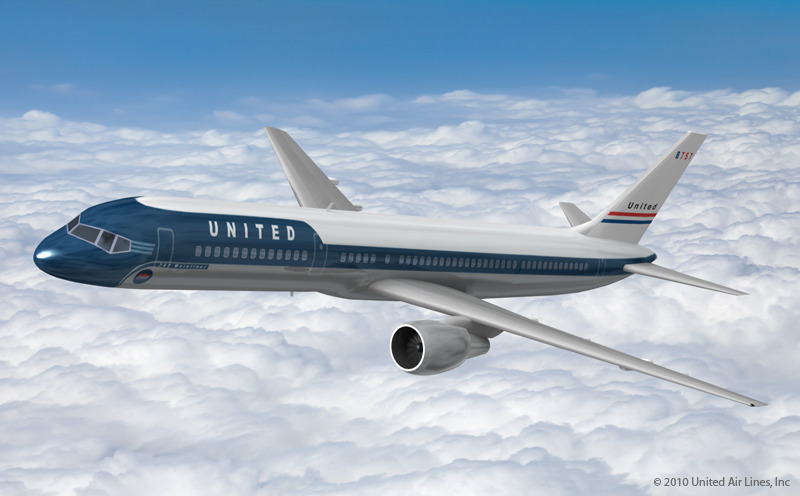 @Toro69 – The merger of UA and Capitol was an important growth step for United. I bet he had all sorts of interesting stories to share.